Shortages and stock outs of medicines, vaccines and diagnostics continue to be a challenge that MSF encounters every day in our operational settings. Shortages and stock outs have an unacceptable and preventable impact on patients around the world, as they lead to delays in treatment initiation, use of inferior treatment choices and treatment interruptions resulting in poor health outcomes. Stock outs also have broader public health implications. For treatment of HIV, TB and other infectious diseases stock outs lead to antimicrobial resistance and the spread of these resistant strains. Furthermore, patients confronted with stock outs are likely to lose trust in the health system and could turn to less appropriate or less affordable sources of medicines. For health care workers already challenged in difficult settings, stock outs and shortages create additional workload and are a source of frustration. 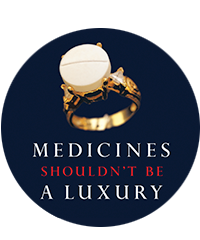 In an environment where donors are transitioning low and middle income countries (wherein donors and global health funds have played a critical role managing supply), and with the increased focus of drug companies – branded and generic – on more lucrative products without any plan to ensure sustainability of product lines and transitioning strategies for treatment of HIV to new products, supply chains will continue to be pressured and affected, requiring the support of the Secretariat and donors to accelerate and expand on the aims of the resolution.